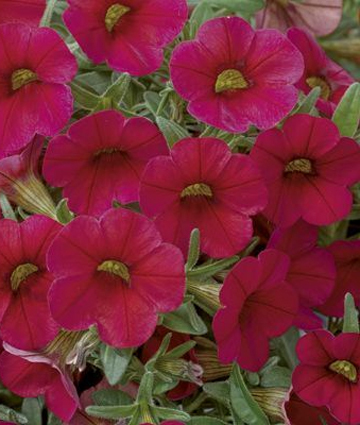 Callie Bright Red Calibrachoa displays an intense red color. Its improved branching and flower production make this a great choice for hanging baskets and combination planters. Its is a profuse bloomer that lasts all summer.